Seeking Royalty Free Stock Pictures of San Diego, California? 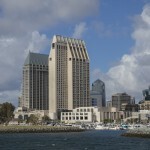 We have a large number of royalty free stock images of San Diego, California. 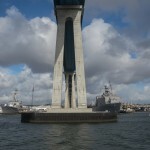 Photos of the Coronado bridge, Coronado Island, City Views and much more! You can download our stock images of Southern California for as low as 1.00. No need to signup for a stock photo membership, just download online the photos you place in your cart. Immediate delivery of your stock photography. 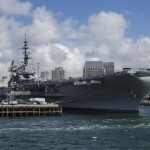 Visit often as we add more photos to our San Diego Picture Gallery. If you are seeking something special in San Diego, contact us with your needs and we will look in our archives or arrange a photography shoot for custom images of San Diego. If you are unable to locate the perfect image and want us to shoot it for you, just contact us for a special photography rate. San Diego located on he coast of the Pacific Ocean is California’s second largest city with over a million residents. San Diego is a versitlie city with miles of coastline, edged by deserts and mountains and everything inbetween. The question becomes…. what doesn’t San Diego provide as one of the best places to live in the country. View of San Diego Coronado bridge. View from the harbor. Pictures of military ships and cargo. 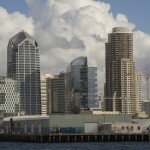 Downtown San Diego Royalty free stock images of San Diego skyline, buildings hotels view of the harbor.